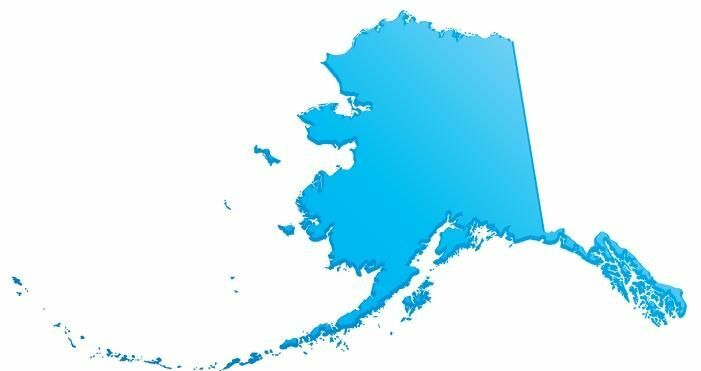 The provisions of the Alaska statutes that permit the filing of mechanics liens and materialmen's liens can be found at Alaska. Code 34.35.050 et. seq. The full text of the Alaska Mechanics Lien Law is provided below, and has been updated as of 2011. To see a quick synopsis of the most important provisions, take a look at our Alaska Frequently Asked Questions page. (6) is a general contractor. (a) The land upon which a building or other improvement described in AS 34.35.050 is constructed, together with a convenient space about the building or other improvement or so much as is required for the convenient use and occupation of it (to be determined by the judgment of the court at the time of the foreclosure of the lien), and the mine on which the work is performed or for which the material is furnished is also subject to the lien created by AS 34.35.050 - 34.35.120 if, at the time the work is started or the materials for the building or other improvements are first furnished, the land belongs to the person who causes the building or other improvement to be constructed, altered, or repaired. (b) If the person owns less than a fee simple estate in the land, then only the interest of the person in it is subject to the lien. (c) If the interest is a leasehold interest, and the holder forfeits the rights of the holder to it, the purchaser of the building or improvement and leasehold term, or so much of it as remains unexpired at a sale under AS 34.35.050 - 34.35.120 is considered to be the assignee of the leasehold term, and may pay the lessor all arrears of rent or other money and costs due under the lease. (d) If the lessor regains possession of the land and property, or obtains judgment for the possession of it before the commencement of the construction, alteration, or repair of the building or other improvement, the purchaser may only remove the building or other improvement within 30 days after the purchase, and the owner of the land shall receive the rent due payable out of the proceeds of the sale, according to the terms of the lease, down to the time of the removal. (a) Except as provided in (c) of this section, an encumbrance which is properly recorded shall be preferred to a lien created under AS 34.35.050 - 34.35.120 unless the claim of lien under AS 34.35.070 or notice of right to lien under AS 34.35.064 has been recorded before the encumbrance. The preference granted for a prior mortgage or deed of trust under this section applies without regard to when the sums are disbursed or whether the disbursements are required under the terms of a loan agreement. (c) A lien created by AS 34.35.050 - 34.35.120 in favor of an individual actually performing labor upon a building or other improvement in its original construction or of a trustee of an employee benefit trust for those individuals is preferred to a prior encumbrance upon the land on which the building or other improvement is constructed. (d) In enforcing the lien, the building or other improvement may be sold separately from the land. When sold separately, the purchaser may remove the building or other improvement within a reasonable time after the sale, not to exceed 30 days, upon the payment to the owner of the land of a reasonable rent for its use from the date of its purchase to the time of removal. If removal is prevented by legal proceedings, the 30 days does not begin to run until the final determination of the proceedings in the court of first resort, or in the appellate court if appeal is taken. (6) state the amount due and unpaid to the claimant for the labor, material, service, or equipment. (b) A stop-lending notice is binding upon a lender from the time the lender has received it and had a reasonable opportunity to act upon it until it expires or is revoked. A notice expires on the 91st day after it is received by the lender unless the claimant has commenced an action on the claim that is the subject of the notice before that day and the lender has received written notification of the action. A stop-lending notice may be revoked at any time in writing signed by the claimant. Expiration or revocation of a notice extinguishes the liability of the lender to the claimant under (c) of this section. (3) 150 percent of the amount stated in the stop-lending notice. (d) Within 10 days after receiving the written agreement or a certified copy of the judgment under (c)(2) of this section establishing the amount owed to a claimant from whom it has a binding stop-lending notice, a lender shall send to the claimant a verified statement showing, by date and amount, all construction financing provided by the lender for the project. Except as provided in (e) of this section, the lender shall include with the statement payment in the amount of the lender’s liability to the claimant under (c) of this section. (e) If there are two or more claimants to whom a lender is or may be liable under (c) of this section and the lender is uncertain as to the amount of its liability or possible liability to each, the lender may bring an action to require the claimants to interplead their claims. (4) the portion of the draw that the owner will pay to each listed prime contractor. (g) The owner shall use each draw as indicated in the certificates given by the owner to the lender under (f) of this section. The lender may not be required to verify the information in a certificate and is not liable for an error in a certificate. (h) An owner who intentionally fails to apply construction financing proceeds as indicated by the certificate required under (f) of this section is guilty of a class A misdemeanor. The penalty provided under this subsection does not replace any other penalty that may be provided for by law for the same conduct. (2) a verified certificate stating the amount of construction financing proceeds committed by the lender for the project that have not been disbursed by the lender. (j) The lender may not provide construction financing proceeds for payment of indebtedness of the owner that is not incurred for the project. WARNING: Unless provision is made for payment of sums that may be due to the undersigned, your above property may be subject to foreclosure to satisfy those sums even though you may pay a prime contractor or other person for the labor, material, service, or equipment furnished by the undersigned. (a) A building or improvement mentioned in AS 34.35.050 constructed with the knowledge of the owner of the land or the person having or claiming an interest in the land is considered to be constructed at the instance of the owner or person having or claiming the interest. (4) an attested or notarized copy of the notice is recorded with the recorder of the recording district in which the land, building, or other improvement is located within three days after the posting of the notice. Recording Notice of Right to Lien. A notice of right to lien may be recorded by a claimant at any time after the claimant enters into a contract for or first furnishes labor, material, service, or equipment in connection with a project. The notice shall be recorded in the same manner as specified for the recording of a claim of lien under AS 34.35.070. (2) ceases to furnish labor, material, services, or equipment for the construction, alteration, or repair of the owner’s property. (B) a claimant who has given a notice of right to lien but who has not received advance notice of the date that the notice of completion is recorded by the owner as provided in AS 34.35.071(a)(2). (c) A claim of lien is enforceable only if recorded by a claimant within the time specified in (a) or (b) of this section. Section Repealed by the Alaska Legislature. (a) A claimant may record a claim of lien after entering into a contract for a project. A claim of lien may not be recorded later than the time specified under AS 34.35.068. (7) the date the last labor, materials, services, or equipment were furnished. (f) A violation of the provisions of this section places the violator in the position of guarantor regarding another person who suffers damages that are proximately caused by the violation. (2) giving notice at least five days before the recording of the notice of completion to all claimants who have given a notice of right to lien or a stop-lending notice to the owner and the lender prior to 10 days before recording a notice of completion; the notice must include a copy of the notice of completion and a statement advising claimants that a notice of completion will be recorded not earlier than five days after the date of the notice. (5) the name of the general contractor. (d) A notice of completion is not effective if recorded before completion. (e) Labor, materials, services, or equipment furnished after a notice of completion is recorded to satisfy warranty obligations or to remedy defective or unsatisfactory construction, alterations, or repairs for which no additional consideration is owed to the person furnishing the additional labor, materials, services, or equipment does not result in lien liability under AS 34.35.050 - 34.35.120. (f) After recording a common interest community declaration under AS 34.08, an owner may record a notice of completion under this section as to each unit after completion of the original construction of each unit of the common interest community. If the owner of the property sought to be charged with a claim of lien under AS 34.35.050 - 34.35.120, or a prime contractor or subcontractor disputes the correctness or validity of the claim of lien brought under AS 34.35.050 - 34.35.120, the owner or contractor may record either before or after the commencement of an action to enforce the claim of lien, in the office of the recorder in which district the claim of lien was recorded, a bond executed by a person authorized to issue surety bonds in this state under AS 21, a financial institution licensed under AS 06, or a national bank authorized under the federal banking laws, in the penal sum equal to one and one-half times the amount of the claim of lien, which bond shall guarantee the payment of the sum that the lien claimant has claimed, together with the lien claimant’s reasonable cost of suit in the action, if the claimant recovers on the claim of lien. If the owner records a bond under this section, the property described in the bond is freed from the effect of a claim of lien under AS 34.35.050 - 34.35.120 and an action brought to foreclose the claim of lien. The principal on the bond may be the owner of the property, the prime contractor, or a subcontractor who is affected by the claim of lien. (2) to enjoin the violation, and if the person prevails, the person shall be awarded costs, including reasonable attorney fees. (b) A claimant who gives a stop-lending notice or has a claim of lien recorded under AS 34.35.075 and who fails to promptly revoke the stop-lending notice or remove the claim of lien from the record upon receiving payment in full on the claim or discovering that the stop-lending notice or claim of lien is in error, unjust, premature, or excessive is liable for actual and consequential damages caused by giving the stop-lending notice or improperly recorded claim of lien plus costs, including reasonable attorney fees. The recorder shall record the claim in a book kept for that purpose. The records shall be indexed as deeds and other conveyances are required by law to be indexed. The recorder is entitled to the same fees allowed by law for recording deeds and other instruments. (2) six months after recording of an extension notice in the same recording office within the original six-month period showing the recording date and the book and page or instrument number or serial number of the initial claim of lien, and the balance owing. (c) A lien whose duration is extended by commencement of an action under (a) of this section is void as against a person who, after the commencement of the action and without knowledge or actual notice of its pendency, acquires an interest in the subject property in good faith for valuable consideration, unless a notice of the pendency of the action has been duly filed for record before the time the person’s conveyance is duly filed for record. Notice of the pendency of the action must conform to the requirements of AS 09.45.940. A person who, at the request of the owner of a lot in the state, grades, fills in, or improves the lot or the street in front of or adjoining the lot has a lien upon the lot for work done and materials furnished. The provisions of AS 34.35.050 - 34.35.120 for securing and enforcing the mechanic’s lien apply to the lien provided by this section. A payment by the owner of a building or structure to a prime contractor or subcontractor, made before 120 days from the completion of the building, is not valid to defeat or discharge a lien created by AS 34.35.050--34.35.120 in favor of other claimants, unless the payment is distributed among the other claimants. If a payment is distributed in part only, then the payment is valid only to the extent it is distributed. (a) Except as provided in (c) of this section, a claimant may recover upon a lien recorded by the claimant only the amount due to the claimant according to the terms of the contract, after deducting all claims of other persons claiming through the claimant for work done and materials furnished. (c) An individual may recover upon a lien recorded by the individual only the amount due according to the terms of the employment. (a) Where a lien is recorded under AS 34.35.050 - 34.35.120 for work done or materials furnished to a prime contractor, the prime contractor shall defend an action at the expense of the prime contractor, and during the pendency of the action the owner may withhold from the prime contractor the amount of money for which the lien is recorded. (b) If judgment is given against the owner or the property of the owner upon the liens, the owner may deduct from the amount due or to become due by the owner to the prime contractor the amount of the judgment and costs. (c) If the amount of the judgment and costs exceeds the amount due by the owner to the prime contractor, or if the owner settles with that contractor in full, the owner may recover back from the prime contractor an amount paid by the owner in excess of the contract price, and for which the prime contractor was originally liable. When a mechanic, artisan, machinist, builder, lumber merchant, contractor, laborer, or other person furnishes or procures materials for use in the construction, alteration, or repair of a building or other improvement, the materials are not subject to attachment, execution, or other legal process to enforce a debt due by the purchaser of the materials except a debt due for the purchase money thereof, so long as the materials have been or are about to be applied in good faith to the construction, alteration, or repair of the building or other improvement. (a) An action to enforce a lien created by AS 34.35.050 - 34.35.120 shall be brought in the superior court. The pleadings, process, practice, and procedure are the same as in other cases. Each claimant is entitled to execution for the balance due after distribution. The clerk of the superior court, upon demand, shall issue the execution after the return of the officer making the execution showing the balance due. (b) In an action under AS 34.35.050 - 34.35.120 the court shall, upon entering judgment for the plaintiff, allow as a part of the costs all money paid for the filing and recording of the lien and a reasonable amount as attorney fees. An action to enforce a lien created by AS 34.35.050 - 34.35.120 has preference upon the calendar of civil actions of the court and shall be tried without unnecessary delay. (c) In an action to enforce a lien created by AS 34.35.050 - 34.35.120 all persons personally liable and all lienholders whose claims have been filed for record under AS 34.35.070 shall be made parties; all other persons interested in the matter in controversy or in the property sought to be charged with the lien may be made parties. However, those persons who are not made parties are not bound by the proceedings. The proceedings upon the foreclosure of a lien created by AS 34.35.050 - 34.35.120 shall, as nearly as possible, conform to the proceedings of a foreclosure of a mortgage lien upon real property. (5) lien of the general contractor shall be paid out of the balance. (c) For purposes of AS 34.35.050 - 34.35.120, if the proceeds of the foreclosure sale of the property are sufficient to pay the lien claims of all persons who have recorded claims of lien, the balance shall be paid to the person who owned the property before the foreclosure sale. (4) whether there is a payment bond and, if so, the name of the surety. (b) At the request of any person who may claim a lien through a claimant other than a prime contractor, the claimant shall provide, within five days, the name of the person who contracted for the furnishing by the claimant of the labor, materials, services, or equipment from which a lien claim may arise. (c) A person who receives a stop-lending notice or notice of right to lien identifying a project for which the person is not the lender shall notify the claimant in writing within 10 days after receipt of the notice that the person is not the lender. (d) A claimant shall, within 10 days after receipt of a request, provide an owner or lender to whom the claimant has given a stop-lending notice or notice of right to lien a written statement of the amount due to the claimant and unpaid. Every contractor, subcontractor, architect, builder, or other person having charge of the construction, alteration, or repair, in whole or in part, of a building or other improvement as provided in AS 34.35.050 and 34.35.085, is considered to be the agent of the owner for the purposes of AS 34.35.050 - 34.35.120. (a) Except as provided under (b) of this section, a written waiver of lien or stop-lending notice of rights created under AS 34.35.050 - 34.35.120 signed by a claimant requires no consideration and is valid and binding. A waiver permitted under this section may not relate to labor, materials, services, or equipment furnished after the date the waiver is signed by the claimant. (b) An individual described in AS 34.35.120(10) may not waive right to claim a lien under AS 34.35.050 - 34.35.120. A waiver that purports to waive the lien rights of that individual or class of individuals is void. (a) A lien created under AS 34.35.050 - 34.35.120 arising out of original construction that becomes subject to AS 34.07 or AS 34.08 before the first sale of a unit within a common interest community after commencement of construction shall be subject to the provisions of this section. (2) by the allocated interest in the common expenses if the common interest community has been established under AS 34.08. (c) A lien claimant is not required to waive a portion of the lien claim under this section unless the amount of indebtedness secured by a prior encumbrance against the common interest community building held by a construction lender is also reduced by an amount calculated in the same manner as provided in (b) of this section. (17) “subcontractor” means a person who enters into a contract with a prime contractor to furnish labor, services, or equipment for the construction, alteration, or repair of a building or other improvement on the owner’s real property and does not include a materialman.